e-Chat is a promising startup that has already run a number of ICOs and managed to get love and appreciation from millions of user, followers, and investors from all over the world. The additional round of ICO starts on January 8 and lasts until February 15, 2018! 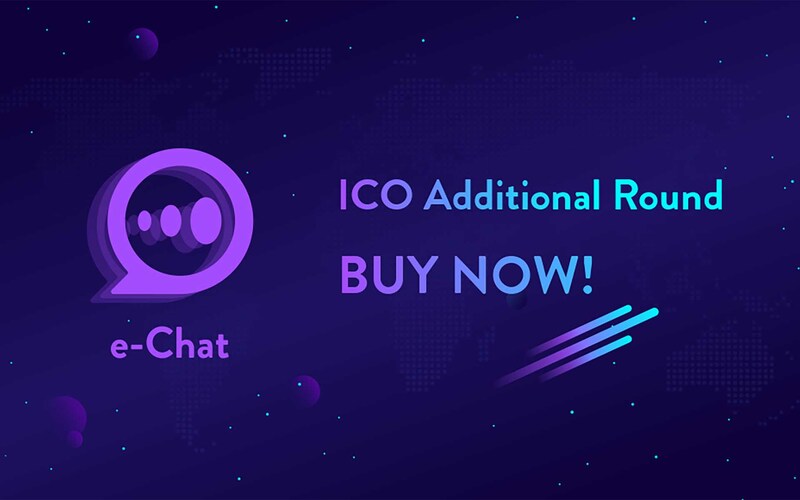 This is the first ICO run by the e-Chat team that provides the system of flexible discounts throughout the whole presale period. Depending on the day of the coming ICO, ECHT tokens are sold with different discount, starting from the most favorable deals in the first days and ending up with a bigger price paid for 1 ECHT. January 8-15, 1 ECHT costs $1.05 (30% discount). January 16-21, 1 ECHT costs $1.125 (25% discount). January 22-31, 1 ECHT costs $1.20 (20% discount). February 1-8, 1 ECHT costs $1.275 (15% discount). February 8-15, 1 ECHT costs $1.35 (10% discount). The e-Chat team has prepared a big plan of activities for the coming ICO that will please both the users and the investors. One of the points of the plan is the coming redesign of the app. The e-Chat designers and software engineers worked hard to bring to life the enhanced functionality and intuit interface. To get to know how the e-Chat app will look like, click here. You are welcome to download the application on Google Play or the App Store. The advising board of e-Chat startup has also been strengthened. Right now it is made up of 9 professionals who are skilled in various business fields and have extensive experience in nourishing Blockchain startups. Having nine board members among advisors is are not the final number as the e-Chat team keeps receiving new consultants joining the project.